CALL FOR AVAILABILITY WHAT IS A CHAPLET? A Chaplet is a sacramental similar to the Rosary. 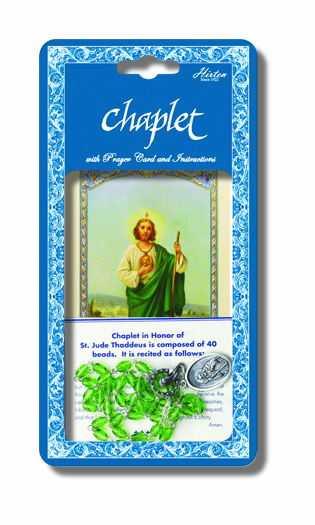 Each Chaplet is based on a particular devotion and is fashioned in a unique design. All these Chaplets come packaged with instructions.